Resperion’s IntegraBase modifier is the only technology solution that can increase the strength of HMA Base and Binder courses while also improving its fatigue life. The increased strength from our unique binding technology enables thickness reductions while reducing costs and time needed to build without sacrificing any performance or longevity of the pavement. IntegraBase also provides for improved high temperature performance, retaining strength in warm temperatures wile withstanding typically deleterious thermal cycling. IntegraBase’s binding technology also improves wet strength and improves water stripping properties (separation of the bitumen from the aggregate). There are no other technology solutions today that can achieve these results. Resperion’s IntegraBase is a multi-metallic catalyst (MMC) in asphalt soluble form. When mixed with asphalt cement and aggregates, this catalyst initiates a series of chemical reactions which ultimately cross link the asphalt molecules and consume the catalyst; this reaction creates an Organic Metallic Complex, the strongest bond in all of Chemistry. The new higher-molecular-weight materials created are extremely resistant to heat and heavy loads. They also exhibit superior water resistance and anti-stripping properties. Hence, when using the Resperion modifier, other common additives such as rubber, lime and anti-stripping agents may not be required as the benefits of those additives have already been provided. 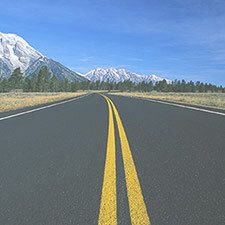 IntegraBase has been specifically formulated to ensure that all of the increase in performance properties is achieved by the time the road surface is ready for use. 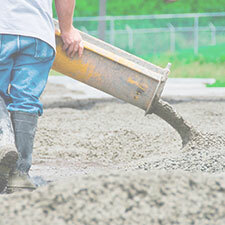 IntegraBase is injected into aggregate and asphalt cement at a rate of 2% by weight of asphalt cement directly into the asphalt feed line at the mixing plant. 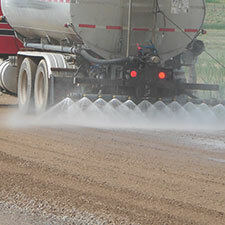 An inline static mixer ensures that the modifier is thoroughly mixed throughout the asphalt cement. Resperion will provide the proper pump and metering system if needed. Either drum mix plants or batch plants may be used. The mixing temperature for IntegraBase should be in the range of 1350C and 1450C. The normal specified procedures for the lay down activities of asphalt concrete base are followed with IntegraBase treated asphalt. Lay down and compaction is performed using conventional equipment and construction techniques. In spite of the higher strength of the IntegraBase modified mix, the workability of the material in terms of compactability and obtaining optimum density is superior to that of unmodified mixes due to the lubricating effects of IntegraBase. Rational pavement design techniques confirm that base course layers constructed with IntegraBase can be reduced in thickness by up to 40%, while achieving an equal or greater number of equivalent standard axle loads (ESAL’s) as conventional materials. Since the cost of the materials saved exceeds the cost of the MMC by a wide margin, Resperion enables you to build the same road for less money. A more conservative design approach is to reduce the thickness of the modified base course materials by just enough to completely off-set the cost of the MMC. 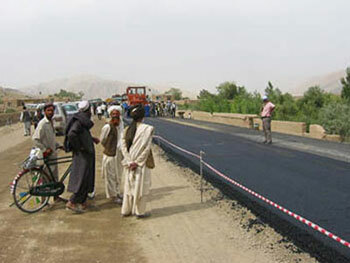 This alternative permits you to build a superior pavement without increasing existing costs or budgets. Full depth asphalt base courses constructed with IntegraBase can withstand more than twice the number of standard axles over their useful lifetime as conventional base course layers. This superior durability generates long-term savings by reducing maintenance costs and delaying required overlays. The total life-cycle savings associated with this option are often substantial. For most road applications, high-quality, crushed aggregate materials must be used because they are the only materials which can withstand today’s heavy loads. However, the significantly greater strength generated by IntegraBase now makes constructing successful roads with marginal materials possible. The upfront savings associated with using marginal materials such as rounded aggregates or sands can be substantial, particularly when higher-quality materials must be transported over great distances.